Sleep apnea is a sleeping disorder that disrupts breathing in many short episodes during sleep, sometimes hundreds of times in just one night. Sleep apnea affects about 4% of men and 2% of women, but the majority of cases go undiagnosed and untreated. Obstructive sleep apnea (OSA) is the most common form and occurs when the airway is physically blocked by throat muscles or the tongue. Central sleep apnea (CSA) occurs when the brain fails to signal the body to breathe until it detects a significant lack of oxygen. Whatever the type, the result is the same: breathing pauses during sleep and does not resume until the brain jolts the sufferer awake. These episodes can occur dozens or even hundreds of times each night. Perhaps the most immediate and apparent effect of sleep apnea is excessive daytime fatigue. Sufferers often struggle to stay awake during their daily activities, and they may be more forgetful and irritable. Their relationships with others may deteriorate, and their risk of injury increases as exhaustion and lack of focus cloud their perception. 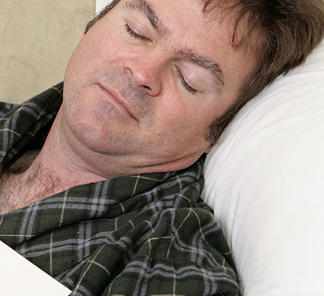 Sleep apnea can also lead to death—further underscoring the need for prompt treatment! If you just can’t seem to keep up your energy levels no matter how early you go to bed, it’s time to investigate whether or not you have a sleeping disorder. Dr. Stephen Poss, DDS can accurately determine if you are suffering from obstructive sleep apnea and can provide a treatment right for you. Call Sleep Apnea and TMJ Solutions today to schedule a free consultation!